Discovered in the 19th century, the Voynich manuscript uses “alien” characters that have long puzzled cryptographers and historians. Now, however, computing scientists at the University of Alberta say they are decoding the mysterious 15th-century text. Computing science Professor Greg Kondrak and graduate student Bradley Hauer applied artificial intelligence to find ambiguities in the text’s human language. The first stage of the research was working out the manuscript’s language. The experts used 400 different language translations from the “Universal Declaration of Human Rights” to identify the language used in the text. Initially, it seemed like the text was written in Arabic, but the researcher’s algorithms revealed that the manuscript is written in Hebrew. Kondrak and Hauer worked out that Voynich manuscript was created using ‘alphagrams’ that use one phrase to define another so built an algorithm to unscramble the text. “It turned out that over 80 per cent of the words were in a Hebrew dictionary, but we didn’t know if they made sense together,” said Kondrak. The initial part of the text was then run through Google Translate. “It came up with a sentence that is grammatical, and you can interpret it,” Kondrak explained. The full meaning of the text will need the involvement of historians of ancient Hebrew. The vellum, or animal skin, on which the codex is written has been dated to the early 15th century. The research study is published in Volume 4 ofTransactions of the Association for Computational Linguistics. 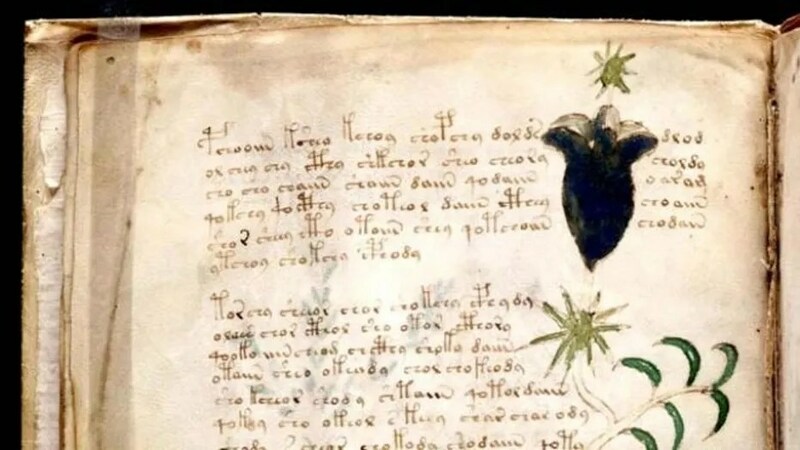 There have been multiple attempts to decode the Voynich manuscript. In 2014, for example, researchers argued that the illustrations of plants in the manuscript could help decode the text’s strange characters. In 2011, a self-proclaimed “prophet of God” claimed that he had decoded the book.